As New York continues to pursue safe driving enforcement on city streets, it has focused on raising fines and punishment as an incentive for drivers to follow existing and new laws. While the goals are honorable and often necessary, enforcement has been largely based on traffic officer observations, which can be prone to bias and ambiguity. In New York City, for instance, Mayor de Blasio’s Vision Zero program has stepped up enforcement and increased fines for everything from block-the-box violations and double-parking, to delivery bans and seatbelt use. Ticketing has increased by astronomical rates. In just five years, from 2011 to 2016, tickets for texting alone increased 840%. While some educational efforts have been made, people who become the subject of the fines often have no idea about which laws they presumably have violated. According to the National Highway Traffic Safety Administration, approximately 3,500 people died in 2016 due to distracted driving and another 400,000 received serious injury. The claimed causes for distracted driving are varied and broad. Common causes have included looking anywhere but the road ahead, using your hands for anything but driving, or even thinking about anything except driving. With definitions like these, the rationale for ticketing can be incredibly broad and discretionary. New York City’s Vehicle and Traffic Law Section 1225(c) & (d) outline the violations for cell phone use and other portable electronic devices. Hand-held devices cover a wide range of items that include cell phones, music or game players, and devices that have any type of mobile data access. Even some GPS devices can be used as an excuse to write a ticket. What’s more, a driver does not have to be using the device to violate the law. According to the law, if an officer observes a device in someone’s hand for any reason, the person is presumed to be using it. In June 2017, The Third Department Appellate Division further refined the definition even more “to encompass any portable electronic device that diverts a driver’s attention away from the road and prevents the full use of a driver’s hands.” Ironically, this refinement actually makes the basis for a ticket more broad. The fines for violating the distracted driving laws can be substantial. For a first offense, the fine can be up to $200, plus 5 points on a license. For every violation after the first, the fines can increase up to $450. The 5 point license penalty is also imposed for each individual violation. Further costs for drivers include a $93 surcharge per violation, assessment fees for excessive points, as well as the potential to increase insurance premiums. Clearly, the financial costs for paying the fines and penalties can have a severe impact on drivers for years. A New York traffic attorney, however, may be the best defense to reduce the damages. 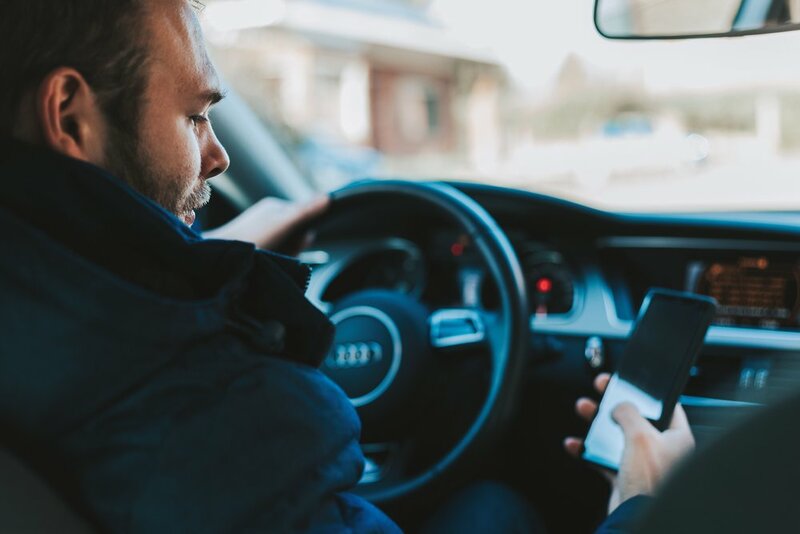 In 2011 when the original distracted driving law was passed, Governor Cuomo described it as having a “rebuttable presumption.” In other words, a ticket can be dismissed under certain circumstances in a court of law. A traffic lawyer in NYC can be the biggest ally in defending against a distracted driving citation. With such a broad description for what constitutes a distraction, New York traffic attorneys can be the biggest ally in attempting to reduce or dismiss a ticket. As legal experts familiar with the often confusing NYC court system, they know how to navigate the complicated means of fighting a ticket. In particular, the “presumption of use” aspect of the law opens the door to arbitrary enforcement. If, for instance, a driver was not actually using a device, the burden of proof falls on them. A traffic lawyer can help determine if evidence is sufficient to reduce or even dismiss a violation. Once you pay a fine, you have admitted guilt. The simple act of sending a check can lead to more costs in the long run, costs that might be avoidable. Traffic attorneys are willing to consult for little or no fee on particular circumstances and evaluate the likelihood of reducing and dismissing fines and penalties. Points stay on a license for years and can lead to other increased fines and insurance rate increases. You should assess your situation with the longview in mind.